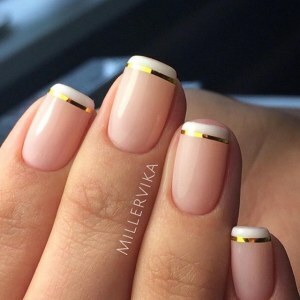 Pink french manicure with a dedicated ring finger nail. White french manicure with blue gel polish and rhinestones on the nail of the ring finger. 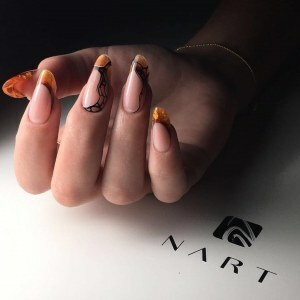 Stained glass french nails with abstract black pattern. Black french manicure with frinestones and microbeads on short nails. White french manicure, silver half-moon nail art, matte and glossy top coats, short nails.